Scholarships of £1500 will be awarded annually by the Staffordshire & Birmingham Agricultural Society; the number awarded being dependant upon demand and available funding. Applications are to be submitted by 1st March for consideration by the Society’s Council at their meeting in April with the award announced at the Staffordshire County Show in late May/early June. A Single payment will be made directly to the college or university on 1st September. Applicants must either be a member of the Staffordshire Young Farmers Club, reside within the County of Staffordshire or within 10 miles of the County boundary. Furthermore they must be British nationals. Applications will only be accepted from students on full time agricultural courses. Moreover, applications will only be accepted from students on the first or second year of a three year course or from students on the first or third year of a four year course. Students undertaking an agricultural based full time postgraduate course can apply in the first year of a two year course or in the first or second year of a three year course. However scholarships will not be awarded to students on gap years or placements. A student who is awarded a scholarship will be allowed to reapply in subsequent years as will applicants who had previous applications rejected. 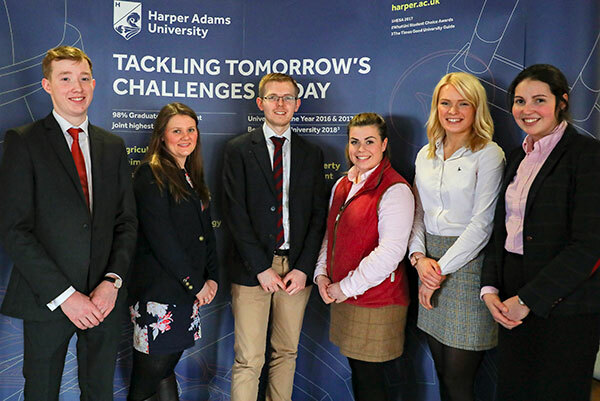 Application for a scholarship will initially be by completion of a form that will require details of the course being studied, future career aspirations, work experience, academic record to date and involvement in agricultural organisations e.g. Young Farmers Clubs. Short listed candidates will be required to attend a thirty minute interview conducted by the Scholarship Committee at the Staffordshire County Showground. Applicants will be required to repay the scholarship if they fail to complete the course. The Scholarship Committee will include the Society Chairman, Society Vice Chairman, Chief Executive, YFC County Organiser and co-opted members. Click here to download the Scholarship application form (Microsoft Word format).